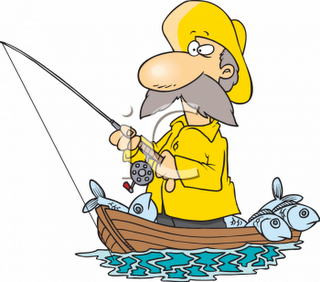 I’ve never seen any man – fisherman or not – too old to fish! And if the fish are always there…well then! I get your point that there is more to the story than the simplified version above (preparing for the proverbial rainy day, for instance). It would have been good to have additional information about those other things to consider, perhaps suggesting other blogs to follow to flesh those out? That’s true Diane, one is never too old to fish … I guess that’s the reason that I’m writing this instead of, well, fishing! I beleive the banker will die rich & the mexican happier. money or happiness?…& that questions starts a new “what if”…..
there is no answer to what ifs just another question. I know the story is about happiness and the need for money in your life, but did no one else immediately just think sustainable fishing and the environmental impacts? Maybe it’s the “John Butler Trio” in me that went straight to big corporations extorting our planet for money. I wonder about this a lot myself – especially with the hours I am putting in right now? Why work 70 hours a week with my “day job”? Still, with two seemingly viable businesses kicking off this year, I may be able to trainsition to work on what I enjoy more (and still have the income streams). I don’t mind working hard, just want to work on projects that fit my passions more. Both businesses ideas won’t be fully passive (I don’t think anything else except CDs that can’t even match inflation) but will be *more* passive. @ Neil – the businesses may be after hours, part time, etc. but it’s highly unlikely that you will be able to consider them “passive investments”. BUT, you should be able to do a lot of stock/RE/CD investing with the income that they may spin off. My son has one of these kinds of businesses: has got his business to #3 in Google rankings for his niche, employs a part-time support agent in Manila, and clears a good couple of $k p.m. in his spare time (literally 30 mins a day), yet he would not consider the business to be an investment because he knows that nothing lasts forever. Instead he is saving as much of his net income as possible for his first car and a down-payment on an investment property. If you ask him which one he would buy if he could only afford one, he would say the property (because – he correctly states – the car will depreciate). I’m becoming more and more convinced that one of the best approaches to life is to “retire” as quickly as possible after you start working. With “retire” I mean having enough money invested in medium risk/return instruments, that you can cover your expenses, and continue to save up to ensure that you never have to use the capital. I did a “replay” of my life, without running any business, just living frugally from the day I started working, and saving hard. I calculated that I could have fully retired by age 36. If my mission was to retire, I would have probably made an effort to build extra income during that time – and either made the date earlier, or “retired” at a higher lifestyle. The point is this: Once you are retired, you can do anything you like, without having to worry about whether it will produce an income. Creativity and passion are at their highest when one is not under pressure to produce. That is why most people make their biggest impact after retirement. So you probably will continue making an income … which you won’t need … which means that you will have entered a positive wealth building cycle without pressure. By investing in a single rental property right now, and pouring all the rent money into it’s mortgage (sticking with my day job), I should be able to pay it off in about 10 years. Then, I can leverage it to buy three more, and do the same. By the time my daughter finishes college, I can own $1million in rent producing property and be getting $10,000/month (today’s dollars). Tie that with putting $500/month into an EIUL and I can fetch another $80,000 tax free every year. Just retarget the rest of my 401k into a Roth IRA and buy a few stocks that have paid increasing dividends for the past 50 years, and it should bode for a nice, wealthy retirement based on passive income. There is only so long you can sell your labor. Passive income is the key to true wealth, and an EIUL is a nice protection from the taxman plus better yielding than mutual funds. @ Greg – Sounds like a plan! But, why pay off one loan just to take out another one? Perhaps when the first one is cashflow positive (perhaps with some buffer for emergencies) you could buy the next … and so on? After having lived in Baja California for several years now I can tell you that the bankers are everywhere… Usually from the USA. Yet, the Mexicans have the sense to not stress about building it all up.